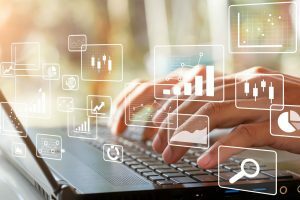 Today, in order to increase efficiency and be competitive, companies must quickly respond to any internal or external changes in business processes. The company’s IT infrastructure, plays a critical role in responding to such changes considering it is built based on a flexible and agile architecture. The complexity of the IT infrastructure leads to increased costs, resources, and integration time. The situation gets much more complex whenever a new system is implemented, and with the emergence of new business requirements. The infrastructure flexibility and agility of an enterprise, can be achieved by building an IT environment based on Service Oriented Architecture – SOA, in which the main structural and functional element is business service. What does business service mean in a Service Oriented Architecture approach? In an SOA based business process for example, receiving orders, invoicing, shipping products, updating employee information, or setting a budget – each becomes a business service (or service). In short, a service is an unchangeable software code that describes a particular business process and can be related to other business processes. So, you get one business service for each function that is used everywhere in your company. With SOA, if you need to change a business policy, you have to change it only in one place. And, because the identical service is used everywhere, you have consistency across all your company. Enterprise Service Bus (ESB) – is a communication system between mutually interacting software applications in the service oriented architecture (SOA). In other words, ESB provides a cost-effective way to centrally configure, deploy, and manage services across a large enterprise. The SOA’s goal is to set up an IT infrastructure in which all the necessary IT resources of the company are provided in a flexible, efficient and fast way. The Service Oriented Architecture simplifies reuse of IT infrastructure components, facilitates the modification of the integration logic, and lays the foundation for further business development. The SOA implements a process-oriented approach that “deals” with specific business processes and their component — business functions, rather than software objects. The SOA concept involves a unified approach to IT infrastructure and production processes. It allows to implement a component model that binds various functional modules of applications – services, through well-defined interfaces and agreements between them. The Interfaces are independent of the hardware platform, operating system, and programming language in which the service is implemented. In SOA, integrating business tasks are presented as a process that operates IT applications as business services. 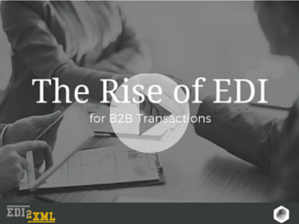 Increase responsiveness to changing business requirements. Increase the flexibility of information systems, provide the necessary level of interaction between them (both industrial and custom development). Create complex applications from sets of integrated services. Create controlled, transparent and flexible business processes based on complex applications. BPM (Business Process Management) is a common attribute of Service Oriented Architecture (SOA), and an instrument through which a company can apply SOA to high-value business challenges. Both SOA and BPM can be applied individually, but the two agreed approaches offer mutual benefits for business. The combination of BPM and SOA provides companies with a new generation of tools for the rapid development of composite business applications. This allows to maximize the use of all available resources of the company, as well as quickly connect new ones. The SOA is built along the lines of a corporate management system. Due to strict regulations on the control of services, they are always kept up to date and able to fulfill all the requirements of the business. It is enough to make the service functional once and accessible through the program interface. In the future, this service can be used for an unlimited number of business scenarios and integration with new applications and systems. Reduced costs for the introduction of each new service, and all IT assets of the company work with maximum efficiency. Integration with third parties and trading partners. SOA provides gateways for secure communication with external partners, which allows you to organize both new sales channels and to provide already existing services. Quick adaptation to changing external conditions. When changing business conditions, requirements of customers or partners, market conditions, the company can easily and quickly replace one service implementation with another, without affecting its interfaces. Prompt implementation of user requirements. Possibility to build composite applications from existing services allows quickly create business fundamentally new functionality and ensure the highest level of automation of business processes. The possibility of development of corporate information infrastructure. Familiar and well-proven legacy applications and systems blend harmoniously into the new architecture. You only need to provide them with the appropriate interfaces. SOA can be implemented gradually, starting with small pilot projects. The flexibility of created systems. The weak connectivity of services significantly increases their mobility and the possibility of multilateral integration. Services are easily moved from one server to another, changing interaction parameters. Services are combined into a single application during their execution, and not during the development phase. Independence from software and hardware platforms. The use of open standards instead of closed protocols makes the Service Oriented Architecture platform-independent, which ensures the interaction of heterogeneous systems that were previously incompatible with each other. 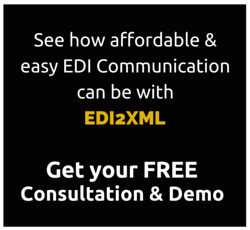 EDI2XML specialists have the fundamental knowledge necessary for the implementation of SOA-oriented projects, as well as extensive experience in SOA-based integration such as EDI, CRM, ERP, and e-commerce. 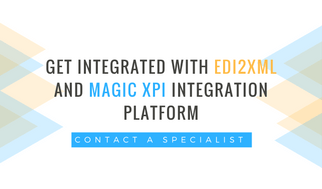 When implementing integration projects on the principles of SOA, we use mature products from Magic Software Enterprises – a global enterprise software company, delivering Magic xpi, a fully reliable SOA, API-driven integration platform. We take into account the specifics of each project and customer preferences. 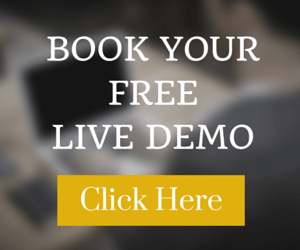 Contact us today to get a FREE-It consultation with one of our integration experts!